Hemp Hearts are the shelled seeds of the hemp plant and provide a concentrated and balanced source of proteins, fats and vitamins. The proteins in shelled hemp seeds are an uncanny match for those found in mother's milk, one of the most important early foods for every mammal. 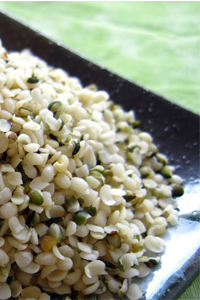 The fats in Hemp Hearts are mostly omega -3 and -6 polyunsaturated fats. 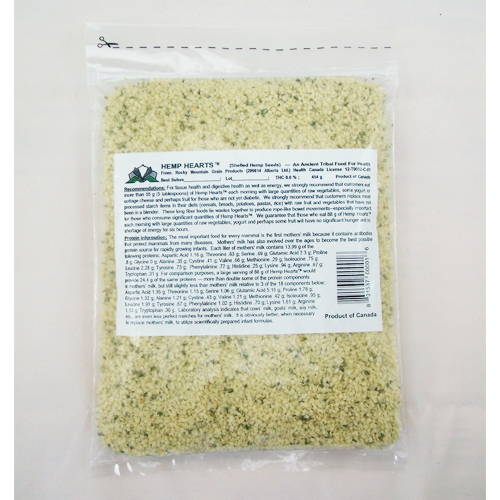 Hemp Hearts are best eaten with raw vegetables, with an 88 gram serving of shelled hemp seeds providing an ideal diet. Such a meal is great for satisfying hunger and providing energy as well as improving digestion.